Close your eyes and imagine a dairy farm. Do you see a cheerful red or white barn surrounded by rolling hills of green, grassy pasture, with cows contentedly chewing their cud? Well, that’s what dairy farms were like in days gone by, and what they may become again. But today, most commercial dairies are nothing like this. And their milk is nothing like it was in the 1950s when I was growing up. 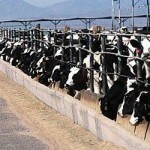 Today, the modern commercial dairy cow is a holstein bred to be a milk-producing machine. She is likely confined to a barn rather than allowed to graze in pasture. She produces three times as much milk as an old-fashioned milk cow. Her udders are so engorged that they drag on the ground! And she’s very susceptible to mastitis. She requires a special feed (made from soy, cottonseed, corn; definitely not green grass!). And antibiotics to keep her healthy; even so, she dies at a much younger age than her old-fashioned counterpart. Her milk contains high levels of growth hormone from her pituitary gland. She is rarely allowed to graze on pasture; indeed, she needs the confines of her stall to keep her upright! Do you think that buying “Organic” milk spares the cows of this indignity? Not necessarily. Many organic dairies simply feed their cows with special feed from organically-raised grains, and do not treat the cows with added growth hormone and antibiotics. However, their own pituitaries are bred to produce high levels of growth hormone. And they are often confined to their stalls, to keep them upright. Of course, not all commercial dairies are like this. And some dairies mix milk from pasture-fed cows with that from confined, grain-fed cows. You can still find small, local dairies who raise older lines of Holsteins, and Holstein crosses, as well as Jerseys, Guernseys, Red Devons, and even goats. These dairies do allow their animals to graze on green pasture, especially from spring into fall, and then feed them green feed, silage, and root vegetables in the winter, just like in older times. 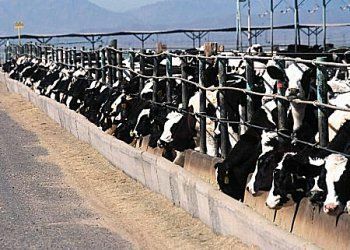 Examples of these humane dairies may be found in your own communities, if you take the time to investigate. Tillamook and Organic Valley are commercial dairies whose cows are mostly pasture fed, but their milk is still pasteurized (2). Rebuild From Depression’s article that compares levels of CLA in milk, butter and cream, for different levels of pasture (grass) feed, as just one reason to consume milk from pasture-fed cows (9). Related video Rest in Peace Vander Eyk Organic Dairy (9b), about a California Dairy that lost its Organic certification because the cows were not fed pasture while they were producing milk. The heat of normal pasteurization is not sufficient to kill certain heat-resistant bacteria, such as that which causes Johne’s disease (with which most confinement dairy cows are infected). This is the same bacteria that is suspected of causing Crohn’s disease in humans. 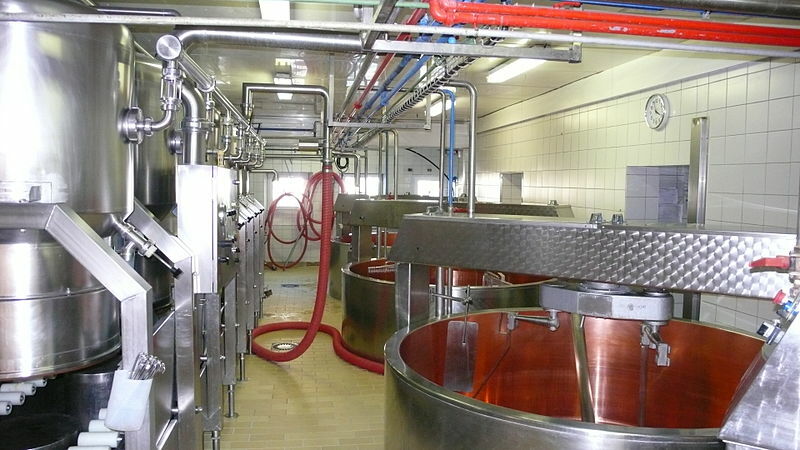 In order to destroy the heat-resistant bacteria and give milk a longer shelf life, the process of ultra-pasteurization has been introduced. 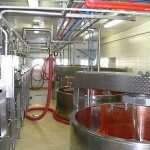 This is a violent process that takes milk from a chilled temperature to above the boiling point in less than 2 seconds. This process is even more harmful to the milk at a molecular level than normal pasteurization (2). One notable consequence of ultra-pasteurization is that the milk will not curd to form cheese. The curd process requires available calcium in the casein fraction of milk; but when the milk is ultra-pasteurized, the casein is denatured in such a way that the calcium is no longer available. The only way to get ultra-pasteurized milk to curd is to add calcium chloride. However, the final product is inferior in quality due to the denatured casein. Another consequence of this milk is that most people have developed an allergy to it. This is because of the denaturation of both the casein and whey fractions in the milk. Swe Why Pasteurize Milk? and scroll down to the section on Denatured Proteins: Birth of an Allergy for more on this problem. Another thing we all learned in school is that oil and water don’t mix. And that is also true of the butterfat and watery components of milk. When fresh cow’s milk is allowed to rest, the butterfat, or cream, rises to the top. One must give it a really good shake to disperse the fat globules back into the watery milk, each time you want a cool refreshing glass. NOTE: goats milk takes longer for the cream to rise to the top, than it does for cow’s milk, because the goat milk fat globules are much much smaller than n cows milk. So the process of homogenization was invented. In this process, the milk is forced at high pressure through a very small orifice, breaking up the fat globules into smaller, denser particles that will remain suspended in the watery fluid, similar to goat milk. Homogenization of milk continues to be controversial. Some scientists believe it may be linked to heart disease (2d); others have debunked this theory (10). It is also suspected that the process causes milk allergy because the fat globule configuration is not natural. Just how is low fat or skim milk produced? Learning this answer was an eye-opening experience for me. I was working in an office across the street from a dairy processing plant. Every day at lunch, I’d watch the big milk-tank trucks pull up and drain their white liquid into large vats inside the plant. I was curious about what happened next, so one day, I asked for a tour. Gleaming stainless steel, copper, and glass everywhere. I was shown how the milk is heated (pasteurized), and then separated into its various components, most of which were then purified and dried (think nonfat dried milk). Much of the casein (one of the milk proteins) was sold off for other uses, such as white glue and casein paint. Then the milk was reconstituted from the components, excluding the butterfat for fat-free milk, or adding the prescribed amount of butterfat for 1%, 2%, or 3.8% milk. Synthetic vitamins A and D were added, and the reconstituted milk was homogenized. This is definitely not your great-grandmother’s farm milk! And it is not good for you. Only milk labeled “whole milk” was saved from the separation and drying process, but it is still treated to pasteurization, homogenization and vitamin fortification. Only “cream at the top” milk has not been homogenized. And only “raw milk” has not been pasteurized. Food Science, Univ. of Guelph, on homogenization: foodsci.uoguelph.ca/dairyedu/homogenization.html NOTE: this link is no longer valid and redirects to a page about ebooks on dairy.